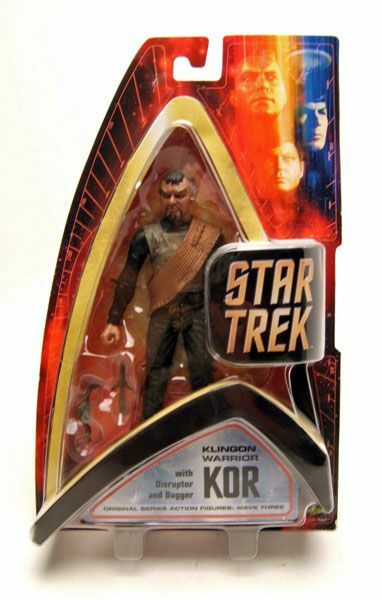 Kor was released carded as part of the third wave of Art Asylum's Classic Star Trek figures. 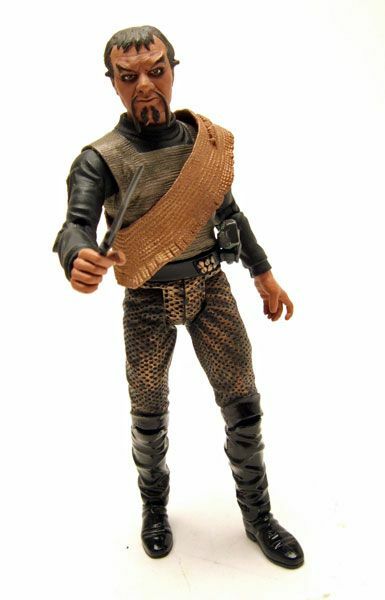 The Rundown: Man, the 3rd wave of Classic Trek figures sure did rock. 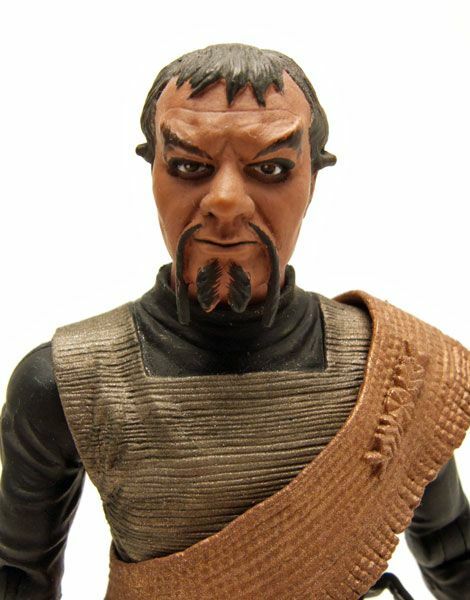 We got a battle ravaged Kirk, an awesome Vina as an Orion, the insanely great Gorn, and this Kor! 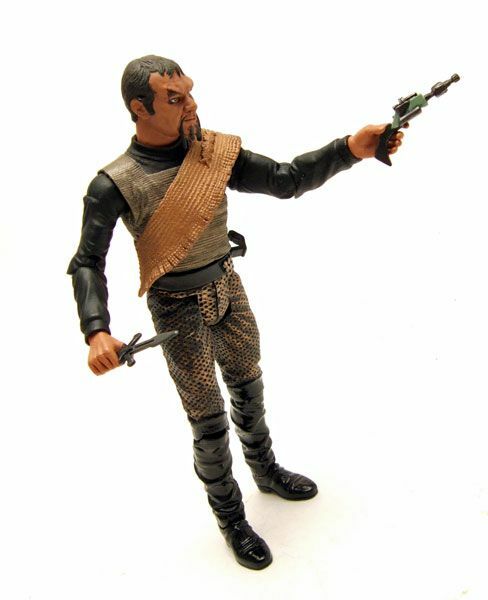 I'm really glad AA chose Kor as the Classic Trek Klingon to get the figure treatment; he's easily my favorite of the Classic Klingons. The sculpt is some of AA's finest work in the line. It may not have all the articulation of the crew figures, but it makes up for this in the sculpting department. 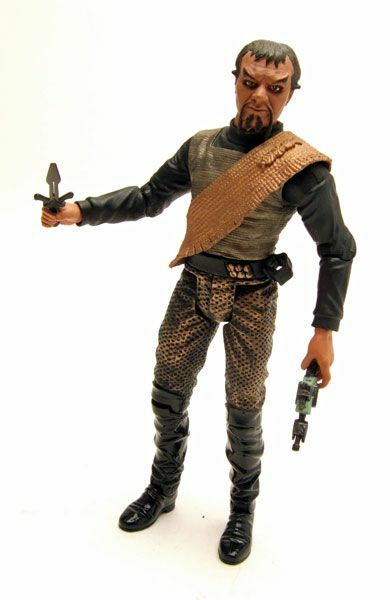 The sculpt is a fantastic representation of the classic Klingon uniform. 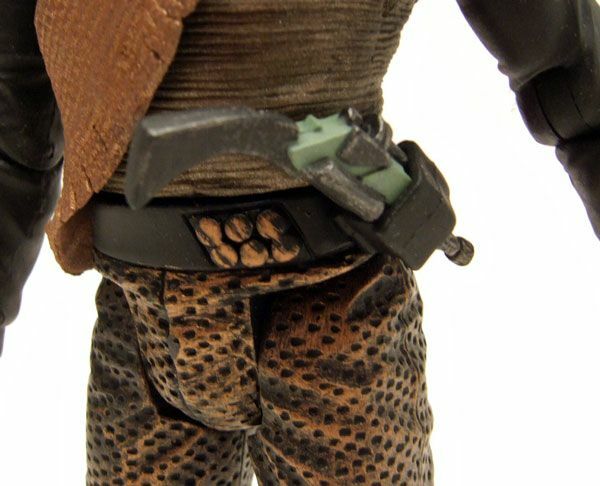 I'm a huge fan of working holsters on figures, so I was very pleasantly surprised to see one on Kor. The Klingon disruptor fits in their snugly and doesn't fall out. Its a great little feature that adds to the look of the figure. Oh, and as a little side note- see that buckle on Kang's belt? Well, I recently visited the Star Trek Exhibition in Detroit where one of the Klingon uniforms from TOS was on display. I spent a lot of time staring at that uniform, and that belt buckle appeared to be just a bit of bubble wrap painted gold (which had turned green with age). Man, those guys working on the original series saw something in everything, didn't they? There is one slight oddity on the figure. 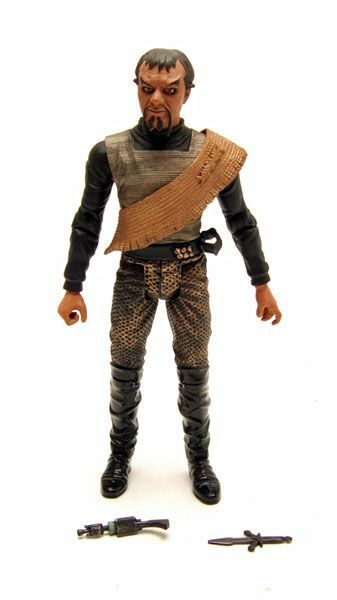 For some reason, the shirt is made of the same rubbery substance used on many of the other figures. 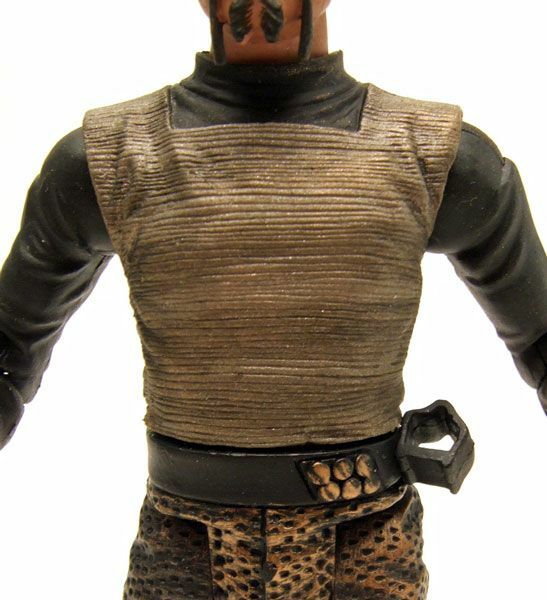 What's strange is that Kor doesn't have any kind of mid-torso joint so having the rubbery shirt is pretty pointless. It does look really good though, and you can't even tell it's rubber until you touch it. The head sculpt is just fantastic. AA did amazing work on this one. There's no doubt that this is Kor. All the details are there, from the scowl on his face to the points of his eyebrows. 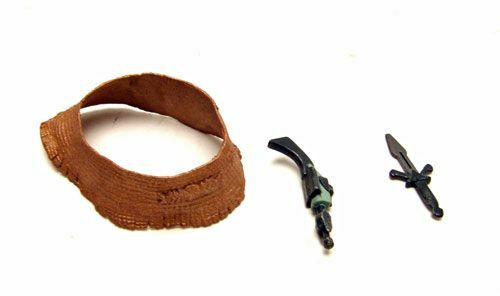 Accessories: Kor comes with a Klingon disruptor and dagger. His baldric is also removable, so I threw it in with the accessories.